who came to the edge of a wide, swinging bridge. the steep drop below and the long distance to the other side. 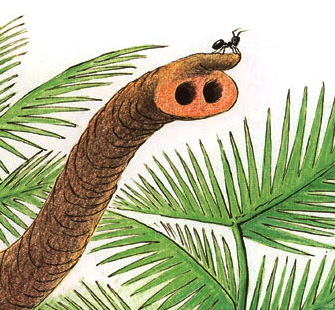 Delighted, the ant scrambled on top of the elephant. but as the elephant took one steady step after another she began to calm down. She felt the wind swirling around her and it seemed she could touch the sky. She saw a lizard slink past and looked down at it triumphantly. thanked her friend. When she looked back, the large bridge was swaying back and forth. We all come to places that seem like they’re too much for us. So we set down our hopes and stay right where we are. yet we live with the worry that one wrong move will take us down. But God offers a better way. He says, “I am the Lord All-Powerful. “Depend on Me to get you where I want you to go. Rely on My strength to be enough for what I’ve asked you to do. He’s the One who carries us. 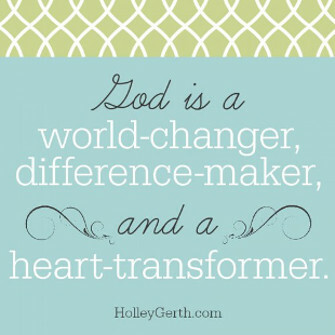 He’s the world-changer, difference-maker and heart-transformer. He makes the bridge shake. and hang on to the One who promises to get us to the other side.